The story of a family’s winery that changed Napa Valley forever. For our latest Longreads Member Pick, we’re excited to feature an excerpt from The House of Mondavi, Julia Flynn Siler’s book about a family that turned a Napa Valley winery into a billion-dollar fortune. Thanks to Siler and Gotham Books for sharing it with the Longreads community. The first few months at the Robert Mondavi Winery were chaotic. Carpenters, masons, plumbers, electricians, and the winemaker, Warren Winiarski, were all working on top of one another. By late summer, there were walls, but still no roof, catwalks, or ladders to reach the tops of the new stainless steel fermenters. Parts were missing and there was no place to do any lab work—let alone a lab technician to do it. Since there were no desks or offices or tables, Winiarski worked from a clipboard. Robert, who had a small office in a trailer, was seldom in one place for long. Winiarski would see him early in the morning and late in the day; the rest of the time, he was a whirlwind of energy, conferring with the builders, making deals for grapes, consulting, and purchasing equipment. Robert’s energy was infectious and his aspirations heady. But he was strongly motivated to start making wine. Fired from Krug without any significant severance pay, Robert was under severe financial pressure. With construction costs mounting, he sought to produce cash flow as quickly as possible. So he set an ambitious timeline. He was determined to bring in the harvest that first year and crush grapes to make the Robert Mondavi Winery’s first vintage. From groundbreaking to crush, he had two, or perhaps three, months at most. 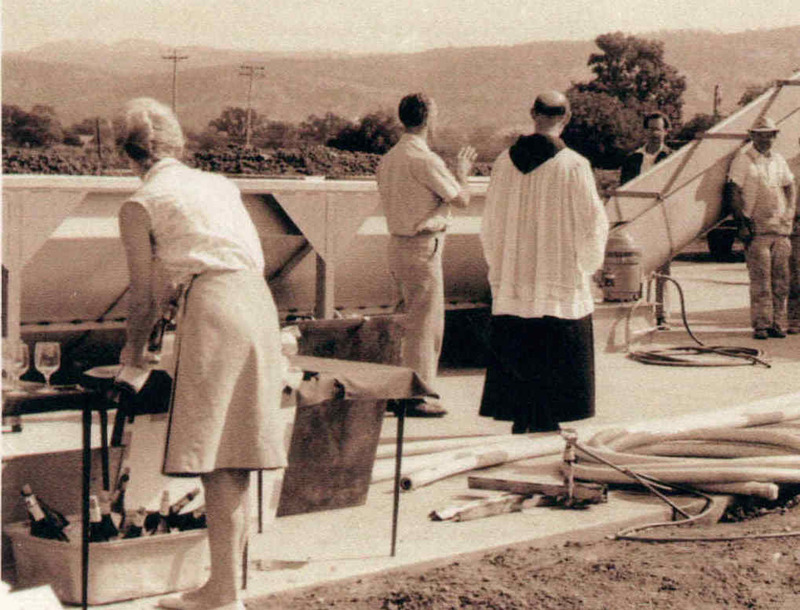 Although Robert had probably not fully formed his intentions for the new winery in 1966, even by then the people who were helping him to make it happen recognized that his dreams were lofty. “From the beginning, the Robert Mondavi Winery was meant to reach out,” says Winiarski. Once again, the friendships that Robert had built after twenty years in the valley came to his rescue. William Bonetti, by then the production chief at Charles Krug, helped Winiarski with some lab work, allowing him to come over and use the Krug lab to run simple analytical tests of the fermenting juice, as well as to borrow equipment and chemicals. Winiarski had assumed that Bonetti had gotten Peter’s implicit, if not explicit, permission to help out his brother, but it wasn’t exactly clear, since neither brother had spoken openly to Winiarski of the simmering feud. Krug also crushed grapes for the Robert Mondavi winery’s first year, sold it yeast, bottles, and a labeling machine, and loaned the new winery a bottling machine free of charge. As a safety net, Peter and Rosa agreed to pay Robert a $9,000-a-year consulting fee after he was fired, although he never performed any consulting services for Krug. While they didn’t welcome Robert as a competitor, they also didn’t want him to fail. As Peter later explained, “We felt that he needed some support from the family inasmuch as he ventured, and we wanted to see him make a success of what he was doing.” Louis Martini and the winemakers at Beaulieu also pitched in to help out their old friend. The label the pair created for the new Robert Mondavi Winery captured its spirit centered around Dean’s wood engraving of the Cliff May building, with its elegant arch and wings. But Dean struggled with a lack of vertical balance in the frame, which he eventually corrected by adding a flank of poplar trees to the scene. In the real setting, a series of trees planted on the walkway had failed to flourish in the 1970s, so eventually, to match the reality to the image on the label, the winery ended up planting poplar trees where Dean had imagined them. Dean’s label for the Robert Mondavi Winery quickly became one of the iconic images of Napa Valley. The cool weather that year also came to Robert’s aid, pushing harvest back by several weeks. Fieldworkers picked the last Cabernet grapes on Veterans Day, November 11, in a season marked by tule fog and cool evenings that often cloaked the valley until ten or eleven in the morning. To the astonishment of some of the friends and rivals who’d called him crazy, Robert managed to make wine that first year. In 1966, the new Robert Mondavi Winery crushed about 490 tons of grapes—even though there was nothing even close to resembling a building on the site yet. By the time the crush rolled around, there were only concrete slabs on the ground, foundations for the fermenting tanks. In the open air, Robert pumped the juice from the fermenting tanks into other tanks. As summer became autumn, workers were plastering the walls of the newly erected building, even as Warren Winiarski made the wine. Returning to the rituals and ceremonies of the Roman Catholic Church, Robert marked his winery’s first crush of the grapes surrounded by his immediate family and his most supportive friends on a sunny morning in mid-September. Robert halted the whirl of painting, plastering, and sanding for a few hours. On a concrete platform surrounded by dirt, a group of a few dozen people gathered on the north side of what would become the winery. Father Levinus of the nearby Carmelite monastery, wearing a long black robe that fell to his ankles and a white cassock over that, faced the gondola that held the grapes. Marcia Mondavi, with her short-cropped dark hair and a ladylike knee-length skirt and sleeveless blouse, bowed her head and clasped her hands together. The priest began his benediction in English sprinkled with Latin words. In the background, Winiarski operated the lift that raised the gondola filled with grapes and tipped them into the hopper. From there, the fruit moved along a conveyer belt to the crusher. The mechanics of the moment only hinted at the deeper transformations that would take place as the grapes moved toward their transfiguration into wine. The atmosphere was solemn: There was no round of applause or cheering as Robert’s partners Fred Holmes, Bill Hart, and Ivan Shoch stood watching, their families beside them. Also present was Charles Daniels and two of his sons. Daniels had been distributing Krug’s wines since the 1940s and was close friends with Robert. He wanted to support him in his new venture and offered to distribute his wines when they were released in the spring of 1967, even though he knew that support would infuriate Peter. But that moment of solemnity passed. Robert said a few words about a new beginning. The group included workmen clad in overalls and hats to shield them from the sun. Marjorie began pouring the white wine that had waited for the group beneath a folding card table in a plastic tub filled with ice. Looking cool and elegant, with her blond hair pinned into a chignon, Marjorie, like her daughter, had dressed for the heat, in a conservative A-line skirt that stopped just below the knee and white flats, even though miniskirts and go-go boots were shocking the nation elsewhere. After the ceremony, the Holmeses, Shochs, and Mondavis gathered for a group photo in front of the grape-filled gondola. The adults held long-stemmed wineglasses. Robert smiled at Marjorie. Timothy, fair-haired and with the gangly look of a teenager, wore black-and-white-laced Converse sneakers. Then just fifteen years old, he, too, held a wineglass in his hand. Marcia, looking contemplative, sat below the row of standing adults. Perhaps in a foreshadowing of the family drama to come, Robert’s elder son was absent on that momentous day. The new Mondavi winery was the most significant to be built in the valley since Prohibition, and with barely three dozen bonded wineries operating in the valley at the time, the groundbreaking marked a key turning point. “The construction of the Robert Mondavi Winery marks the effective beginning of American wine’s rise in both quality and prestige,” wrote the wine historian Paul Lukacs. That fall, however, the significance of Robert’s bold new winery—a venture that some dismissed as “Robert’s Folly” and others as an example of his hubris—seemed to offer concrete proof of the fissure between the proud and talented Mondavi brothers. Fellow vintners watched the rising feud between Robert and Peter with a mixture of sympathy and dismay. After all, Robert was building his winery just five miles south of Krug on Highway 29. The brothers were barely on speaking terms. Other vintners in the valley didn’t talk about it much; mostly, they looked the other way. But what also caught everyone’s attention and provoked some amused comments was that almost as soon as he started his own winery, Robert began pronouncing his surname differently than Peter, Rosa, and the rest of the family. He restored it to “Mon-dah-vee,” which was how the name was pronounced before Cesare had Americanized it after immigrating to the U.S.
And soon enough many people—and especially newcomers to the valley—started referring to the entire family as “Mon-dah-vees”—a galling, frequent reminder to Peter of Robert’s linguistic coup over the rest of the family. The Robert Mondavi Winery’s growing reputation was built on fine wines, meaning expensive wines made almost exclusively from Napa Valley grapes. It was also built on Robert’s gift for hiring talented winemakers. Keeping those winemakers was another matter, though. For Robert faced an ongoing problem: With one son in the business and another likely to join, the family would always get the credit for the elegant wines that were produced at Oakville, even though it was often the staffers doing much of the work. And although Robert would pay employees 10 to 15 percent above other wineries’ wages and offered such perks as weekly wine tastings, there was a ceiling to any career ambitions that a staffer without the last name Mondavi might entertain at the winery. The family openly acknowledged this. Michael, upon his return, worked hard and earned just $650 a week. To try to drum up business, he would sometimes drive slowly down Highway 29 from Rutherford to Oakville, waiting for cars to stack up behind him. Driving a pickup truck borrowed from his father-in-law, he’d then slowly make the right-hand turn into the winery. When a car or two followed him, as they often did, he’d jump out of his truck and stick out his hand, saying, “Hi there, I’m Michael Mondavi. Would you like a tour?” Yet, Michael also clearly enjoyed an advantage because of his last name, even joking about it at times. On meeting Michael for the first time for a job interview, one applicant asked if he minded that the applicant’s wife also worked at the winery. But this practice carried a sizable cost for the company: Ambitious employees often ended up quitting for better opportunities elsewhere. The first to go was Warren Winiarski, the academic refugee from the University of Chicago. Winiarski worked through the first two crushes at the Robert Mondavi Winery, amid the chaos of construction, and left shortly before the third in 1968. This first year, Winiarski did much of the lab work himself as well as supervising crush, fermentation, and aging of the reds. Michael was doing his National Guard duty for much of the first year as the Vietnam War raged, so Winiarski took his guidance from Robert. In terms of the day-to-day production, Winiarski was in charge, without any sort of directions in terms of style from either Robert or Michael to produce, for example, Bordeaux-style wines. Because so much else was going at the winery—completing construction, negotiating grape contracts, and selling their first year’s wine—Winiarski was left mostly to his own devices. Yet by 1967, Michael had returned from the National Guard and become, in title at least, the winemaker at Mondavi. Winiarski had borrowed money in 1965 to buy fifteen acres of his own up on Howell Mountain, where he hoped to plant a vineyard. His first season in 1967 was a disappointment but he didn’t give up. The following year, his plans to start a vineyard of his own started to come together. So, hoping he could support his family as a freelance winemaker and consultant, he announced he was quitting the Robert Mondavi Winery, shortly before the crucial time of harvest. As Winiarski tells it, Michael was not happy about the timing of his departure. But “I didn’t come to California to be the number-two man in a two-man winery,” recalled Winiarski, referring to his relatively short stay at Souverain Cellars. “The same thing was true at Mondavi.” While Winiarski learned an extraordinary amount at both places, he bridled at working under someone else.“Everyone who is devoted to making something wants to have control of the material—finally and completely—and that couldn’t happen there because of Mike and Robert. It was their material,” meaning it was ultimately their grapes, yeast, barrels, and wine. It didn’t take long for Robert to recruit Winiarski’s replacement: a talented Croatian immigrant named Miljenko “Mike” Grgich, who was then working at Beaulieu Vineyard for André Tchelistcheff, the quality-driven winemaker who demanded high standards of cleanliness and precision from his staff. Tchelistcheff was about to retire, but ironically his own son had applied for his job, which seemed to suggest that Grgich was unlikely to become the next winemaker at Beaulieu, the most revered producer of fine wines in the valley. Robert knew of Grgich’s situation and thought he might be looking for a new position. So the men arranged a chat in the fall of 1968, just a few weeks after Winiarski had left. Grgich made the short, two-mile drive down Highway 29 and met with Robert on a wooden bench, near the Robert Mondavi Winery’s mission-style arch. It was a sunny fall day and Robert’s enthusiasm was infectious, as he explained to Grgich his dream of making French-style wines with the newest and most technologically advanced equipment available. Robert also explained that his son recently had returned from duty in the National Guard and was the vice president of winemaking. “I need someone to help my son Michael, who is very young,” Robert told Grgich. While his job title would be head of quality control, in fact he would run the winemaking operation for the family and be the actual winemaker, in a deus-ex-machina fashion. In return, Robert offered Grgich the opportunity to build his reputation as one of the finest winemakers of his generation. “Mike, if you join my company, I’ll make out of you a little André Tchelistcheff!” he promised him. It was an irresistible offer, made more so because of Robert’s evident passion to make the Robert Mondavi Winery America’s finest. Grgich accepted and got to work, introducing—among other methods he had learned at Beaulieu—malolactic fermentation, a technique that lends a soft, buttery quality to wines by converting hard malic acids into soft lactic acids. Every Monday, led by Robert, the staff would have their own blind tastings of Mondavi wines against the best from France. It entered into company legend that the winery was California’s largest importer of French grand crus because of these competitive tastings. Robert showed up at the winery nearly as early as Grgich, at six or seven each morning during crush, to taste the progress of the fermenting juice from the barrels or discuss a technical issue with his winemaker. The very first Cabernet Grgich made for the winery, the 1969, was entered in a blind tasting—which meant that the wine labels would be hidden from the judges—against several other Cabernet Sauvignons from California. Organized by the Los Angeles Times’s wine writer, Robert Lawrence Balzer, the judges, who included Tchelistcheff and Robert, had made most of the wines being tasted that day. 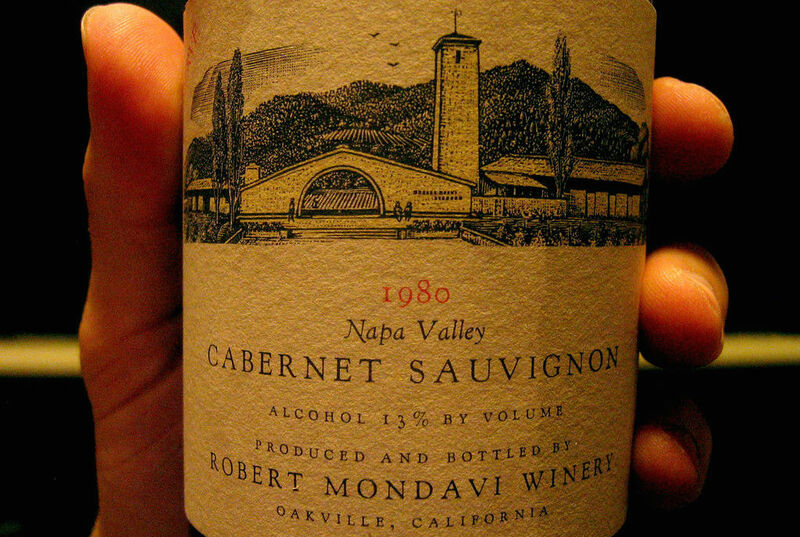 When the judges voted the 1969 Robert Mondavi Winery Cabernet as the very best, that decision led to a rush of favorable publicity for the young winery, catapulting it overnight into the ranks of such revered wines as those made at Beaulieu. Though Grgich had made the wine, Robert took credit for it. The Balzer tasting, as it came to be known, was the first big publicity breakthrough for the winery, sending its sales soaring. It helped attract the attention of the European wine trade, which, a few years later, in 1976, would organize a blind tasting that would have an even more significant impact on Napa Valley. From The House of Mondavi: The Rise and Fall of an American Wine Dynasty by Julia Flynn Siler (juliaflynnsiler.com). Published by arrangement with Gotham Books, a member of Penguin Group (USA), LLC. Copyright © 2007 by Julia Flynn Siler.